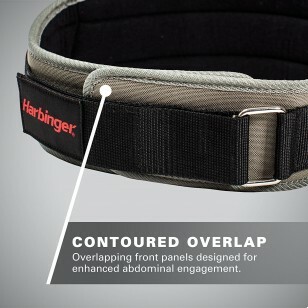 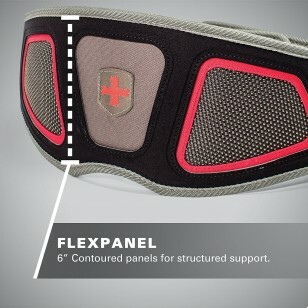 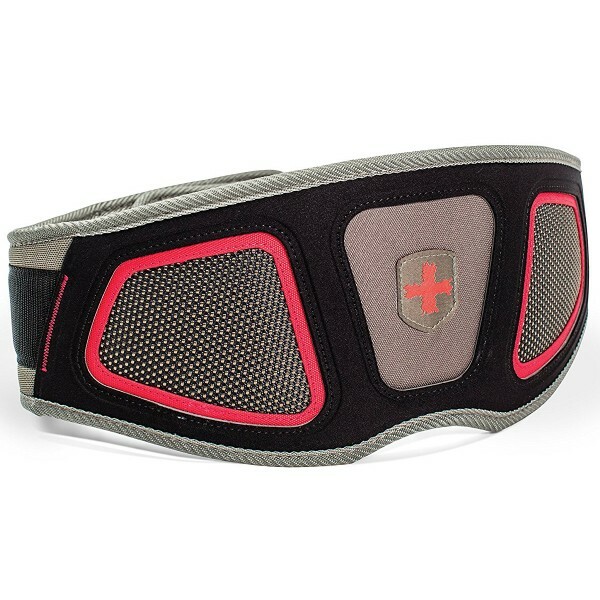 Harbinger Men's FlexFit Contour Weightlifting Belts are ergonomically designed to fit the natural shape of the body. The light, 6-inch wide belt provides comfortable support to stabilize the core muscles for weight lifting and allow full range of motion during functional strength training exercises such as sit-ups and lunges. Wearing the belt during these activities can prevent injury and enhance performance. The overlapping design, with a rigid central panel and two kidney pockets, provides additional stability to enhance abdominal engagement and protect the back for safe lifting, while the flexible foam core and soft tricot lining offer comfort throughout even the most varied workouts. The adjustable, heavy-duty strap with heavy gauge steel tensioning buckle customizes the fit for optimum support and stabilization. 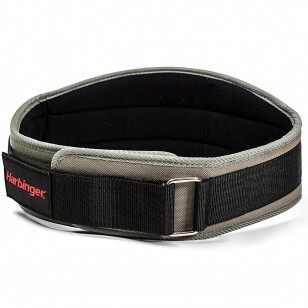 Harbinger strength training belts are designed to be worn tight around the waist. The more secure the belt, the more support and stabilization it provides. Harbinger Men's FlexFit Contour Weightlifting Belts are available in four sizes, each designed to fit a range of waist measurements: Small fits 24-29 inches, Medium fits 29-33 inches, Large fits 33-37 inches, and Extra-large fits 37-42 inches. 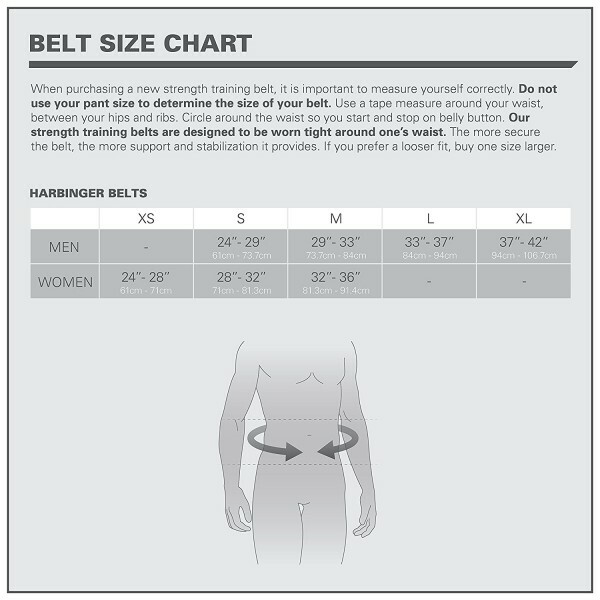 Do not use pant size to determine the size of the weightlifting belt; measure around the waist between the hips and the ribs, starting and stopping at the belly button.  The BackMagic is designed to make stre..
Harbinger's Men Pro Natural Wash & Dry Gloves Leather is 100% hand wash and air dry vers.. 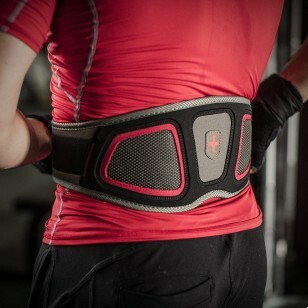 The Gold's Gym Long Series Resistance Tube Kit is an excellent choice if you are looking for..